All sites have a backend content management system, this means the majority of content is editable by the user. New pages can be added, text rewritten and pictures added. Having fresh, new interesting content helps increase SEO rankings and keeps your reader’s attention. 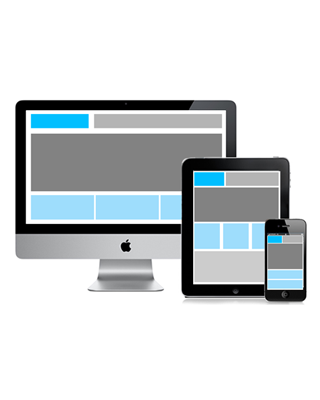 It’s important that websites can be viewed on either a phone or tablet (over half the current views are from such devices). All our sites auto resize to the size of the screen its being displayed upon. Without having a mobile optimised site, there will be no listing displayed in google when searching from such devices. Anglia Computer Solutions Business provides a full design service. The first stage of any project is to get the design correct, we provide you with a mock-up based on the information provided and work together to hone it your requirements. The site is then created and at the end you get a further opportunity to review and make minor amendments. Information only sites are designed just to provide the user with information in the form of text, images or videos. These are normally the most straightforward to create, pricing normally depends on the complexity of the design and number of pages. Please see Case Study 1 and 2 for examples. Confirmation emails and communications with you customers. Websites are increasingly needing to be interlinked with other systems, sage might be used for stock control for example. You may need to access to greater reporting and data manipulation where an Access backend is required. We can interlink your website to pretty much any database, this can have many advantages such as automatically updating sage when orders are placed avoiding any manual input. The client provided the images they wished to use alongside all text and the various pages they wanted us to create. In this instance we created the logo and overall branding as well. Example of a basic information website. Example of a advanced information website. The client provided the images they wished to use alongside all text and the various pages they wanted us to create. In this instance the logo and branding were provided by the client but we can offer this as well.